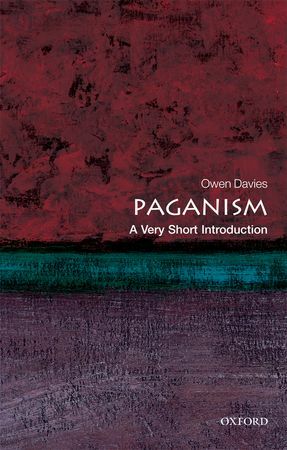 I've just received a review copy of a new book called Paganism: A Very Short Introduction by Owen Davies - who previously wrote Grimoires: A History of Magic Books. Grimoires, which was published in 2009 by Oxford University Press, was my favourite book that year and I am very much looking forward to reading Owen Davies' new publication on paganism. When I've done so, I will review it on A Bad Witch's Blog. Oxford University Press has published other titles in the Short Introduction series looking at aspects of pagan history, including ones on the druids and witchcraft. You can order Paganism: A Very Short Introduction on Amazon.